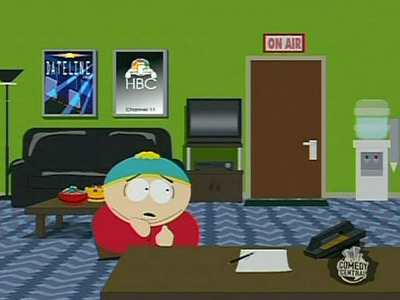 What is NOT one of the embarrassing secrets Cartman lets slip out while he's pretending to have Tourettes? "I cry at night because I don't have a dad." "I wet my katil last night." "I'm secretly in Cinta with Patty Nelson." "I wish I was lebih like Stan."